At the Hyper Sentinel stand, I did just that. The game handles on the Switch beautifully, and seems to be the perfect platform marriage for Hyper Sentinel. 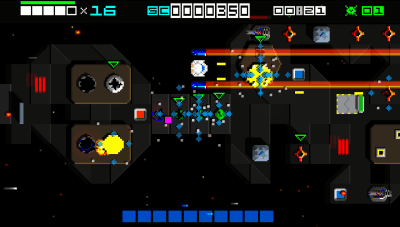 The chiptune soundtrack triggers a fond reminiscent smile, as your little ship zooms around the screen in arena-based level environments. 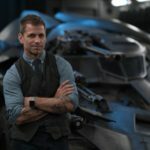 We got a taste of Arcade Mode which carries 12 levels in total: “Every level is unique as you go through the game, each level has things added, increase in size and contains a unique boss” said Jonathan. 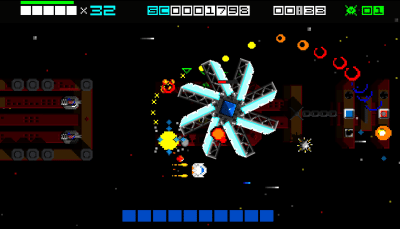 Hyper Sentinel also has two other game modes, Boss Run and Horde. 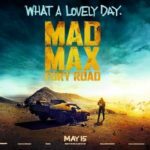 Boss Run allows you to play through all the bosses in turn and Horde mode is exactly what it sounds like – a time-based survival mode in which you face hordes of enemies. 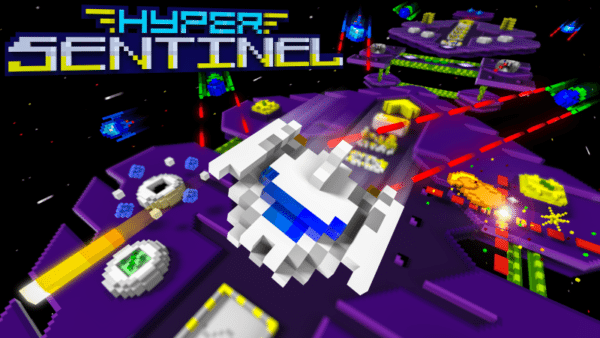 Returning to the retro-enthusiast, Hyper Sentinel has a feature that will hit you right in the nostalgia-nuts; a series of retro modes which transports your screen back to the 80’s. Turn your console into the ZX Spectrum, the C64, and watch as your screen curves into CRT mode! These filters were requested by the backers of Hyper Sentinel‘s Kickstarter campaign, and has been implemented especially for the fans. 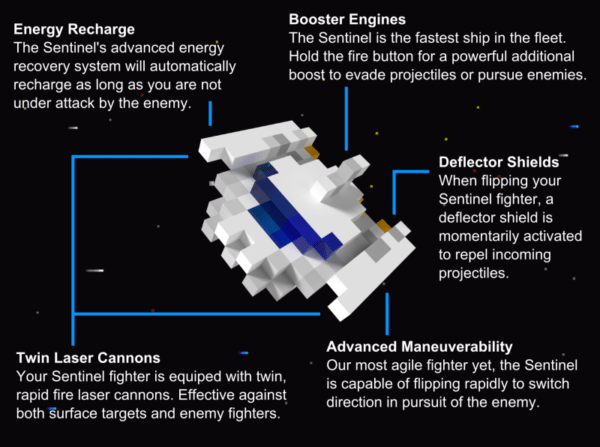 Hyper Sentinel comes with some pretty neat incentives for the retro-lovin’ PC and Mac gamer. 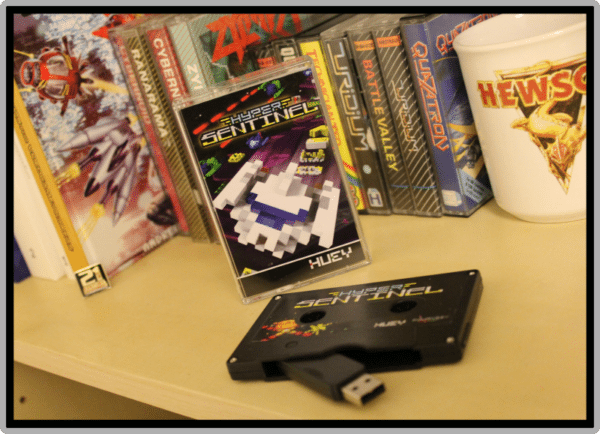 The collectors edition USB cassette is a super neat bit of kit from the guys at Huey Games, which you can pre-order here and features: Developer videos, Hi-res artwork, Hewson retro MP3 album, Soundtrack, Retro video interviews, Retro artwork, and More secret extras!